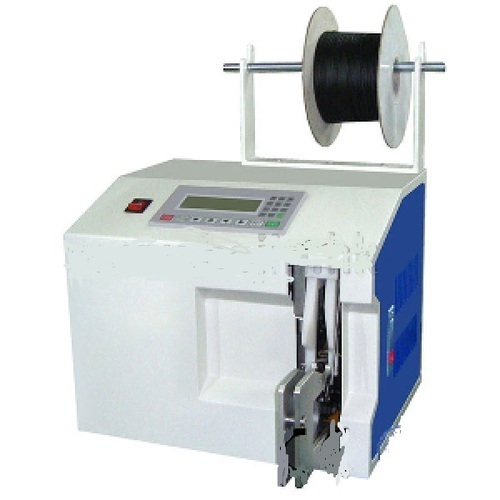 We "Isol Corp" are leading organization affianced in Trader and Importer of Automatic/Semiautomatic Machines,Machine parts used in various industries.Our products includes of Automatic Tape Dispenser, Automatic Label Dispenser, Automatic Label Rewinder, Harness Taping Machine, Sealing Machine, Wire Stripping Machine, Tape Cutting Machine, etc. Incepted in the year 2012 at Noida (U.P., India), we are supported by state-of-the-art infrastructural unit. This well infrastructural unit is the core strength of our company and enables us to manufacture the best class machines, dispensers and other products in various specifications. Covers a large area, this infrastructural unit is outfitted with the most modern tools, equipments and machines. Further we have systematically segregated this infrastructural unit into plenty of well functional departments such as admin, sales, R & D, procurement, manufacturing, quality testing, transportation, etc. All these departments are handled by dexterous professionals. Besides, we have been able to place our company at the peak of success in this sector due to our ethical business policies, easy mode of payment, client centric approach, customized solution, excellent logistic facility and positive records.